The competition is fierce, the talent is better than ever, and threats now emerge from all over the globe. CEOs everywhere are struggling with innovation, with 81% saying their teams are not equipped to meet the challenges. In this book, you will gain insight into new best practices for extreme innovation, and learn how to develop new superpowers – speed, intelligence, and synergy – to drive both profit and purpose. Explore innovation accelerators like AI, VR, IoT, Obsession, Cognitive Diversity, and more. Using social media is a requirement in today’s business climate, so as a social business you are probably leveraging social media as much as possible. But are you truly maximizing this competitive advantage in today’s marketplace? 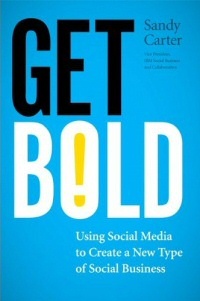 The author provides lessons on doing it both right and wrong so you gain valuable perspective on techniques using the most critical communication vehicles in social networking. 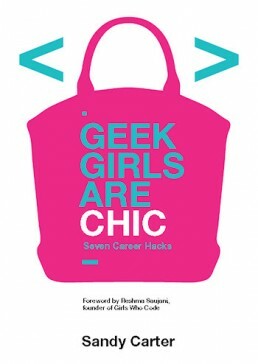 She also provides a shortcut on how to get started, patterning on successes in various companies and case studies. —Jeffrey Gitomer, author of The Little Red Book of Selling and Social BOOM! Today, marketers have an array of radically new Web 2.0-based techniques at their disposal. 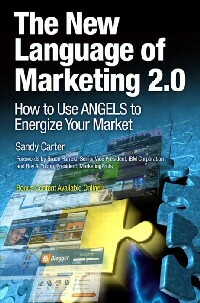 Now, leading IBM marketing innovator Sandy Carter introduces ANGELS, a start-to-finish framework for choosing the right Web 2.0 marketing tools – and using them to maximize revenue and profitability. 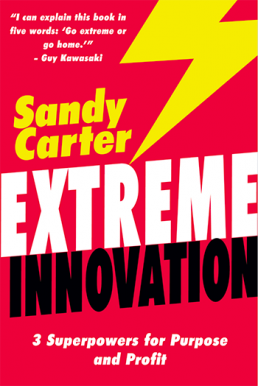 Carter demonstrates winning Web 2.0 marketing at work through 54 brand-new case studies: organizations ranging from Staples to Harley Davidson, Coca-Cola to Mentos, Nortel to IBM itself. “Marketing has entered a new era of rapid advance. Those unwilling to experiment with new combinations of traditional and internet marketing will be left behind.” – Chris Trimble, Adjunct Associate Professor of Business Administration, Tuck School of Business at Dartmouth and Coauthor, Ten Rules for Strategic Innovators: From Idea to Execution. It has always been very difficult to build profitable growth and far more difficult to sustain it. 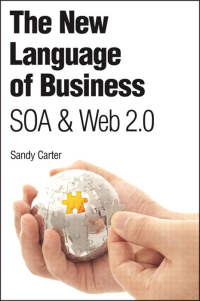 But in today’s environment, it is required and innovatively gaining business flexibility to grow your business is the focus of The New Language of Business: SOA and Web 2.0 authored by Sandy Carter, Vice President of IBM’s SOA and WebSphere strategy. Becoming flex-pons-ive* will become a key success factor. Flex-pons-ive* is the description of a company that responds with lightning speed and agility to rapidly changing business needs leveraging the new language of business. A flex-pons-ive* business is about business effectiveness enabled by thoughtful, well-designed investments in IT focused on business models and processes. Companies that go down that path show, on average, significantly better business results than their peers. 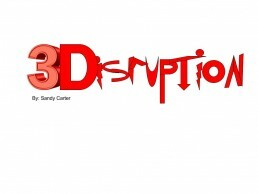 Learn why innovative disruption is the best way to address today’s challenges and prepare for the future. Explore digital strategies and their impact on transformation.